Welcome to explore Mani Lhakhang, a chapel that houses a huge prayer wheel set almost continuously in motion. To the right of the building is the grandiose entrance of the former city jail and dungeons, known as the Nangtse Shar. 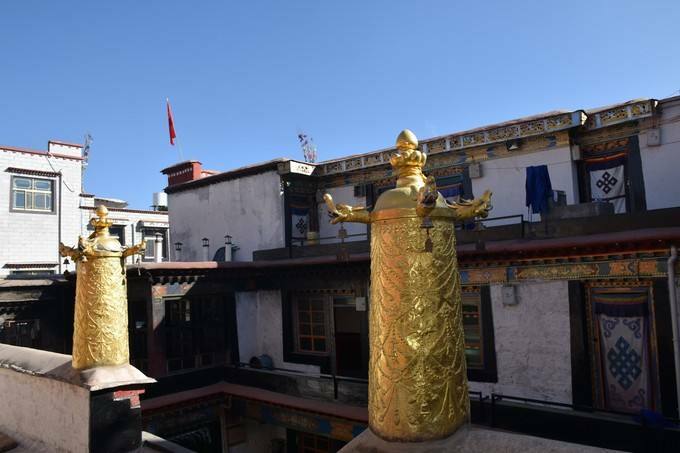 Within few minutes walking from Jokhang Temple, please follow your Tibetan guide to visit Barkhor Mani Lhakhang. Miwang Pholane Sonam Tobgyel founded this monastery in the eighteenth century.